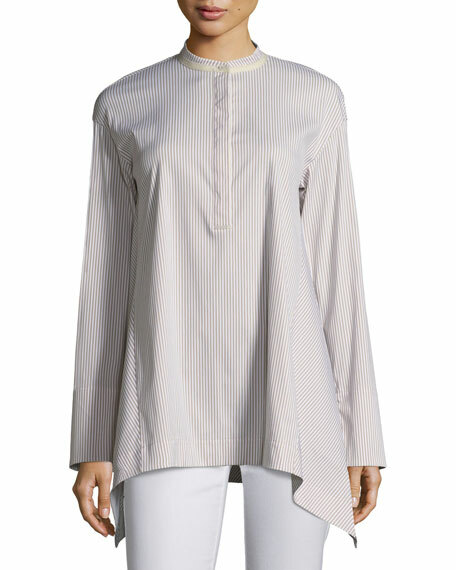 Lafayette 148 New York "Valen" blouse in stripes. 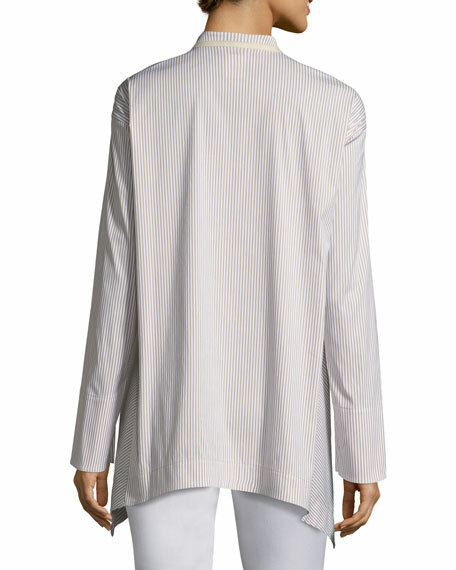 Mandarin collar; half button placket. For in-store inquiries, use sku #2364037.